With NFL players permitted to wear pink cleats and accessories throughout the month of October in observance of Breast Cancer Awareness Month, some stars are thinking of creative ways to join the fight. Atlanta Falcons wide receiver Mohamed Sanu, a regular wearer of custom cleats, has something special lined up for Sunday's game against the San Diego Chargers. 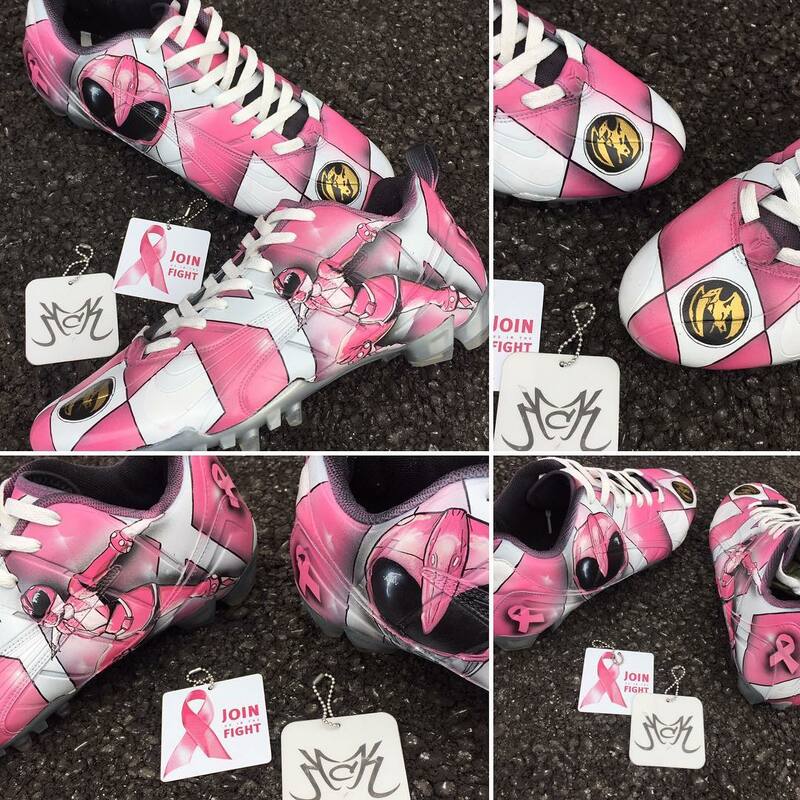 With the help of Kreative Custom Kicks, Sanu will take the field in cleats inspired by the pink Power Ranger, a staple character in the franchise since its 1993 debut. See the cleats in action with the Falcons host the Chargers tomorrow at 4:05 p.m. EST.